THE PICKIEST EATER IN THE WORLD: THE PICKIEST EATER'S GREAT BIRTHDAY GIVEAWAY! 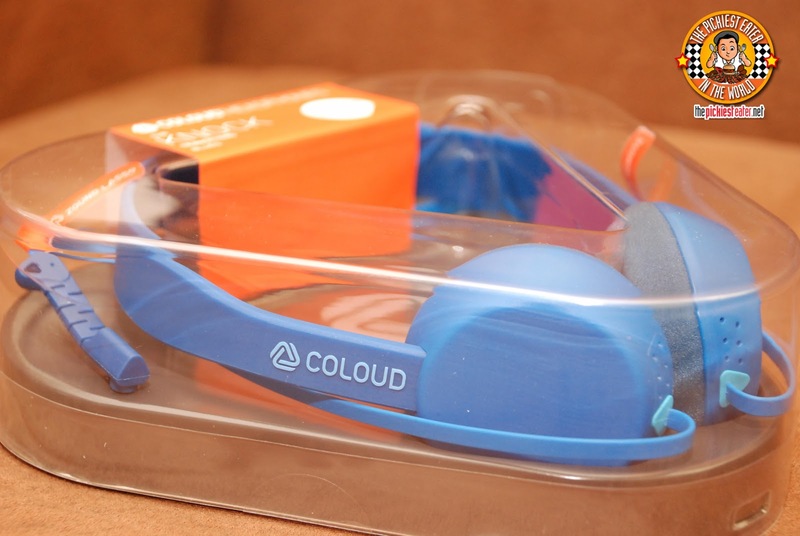 I have two Coloud headphones that will go to two lucky readers! The perfect In-Ear earphones for heavy users! The ear pieces are ergonomically designed so that it's more comfortable to wear without being cumbersome to its user on the go! If you're in the market for headphones so light, you'll barely feel it on your head, then Coloud Knock is the headphones for you! The clarity of the audio is evident in every beat of the bass and hit of the snare. Both headphones contain microphone features that make it usable for Cellphones, and both use Coloud's Zound Lasso system, for a tangle free listening experience. Seen enough? Well, What are you waiting for? Join my giveaway now! 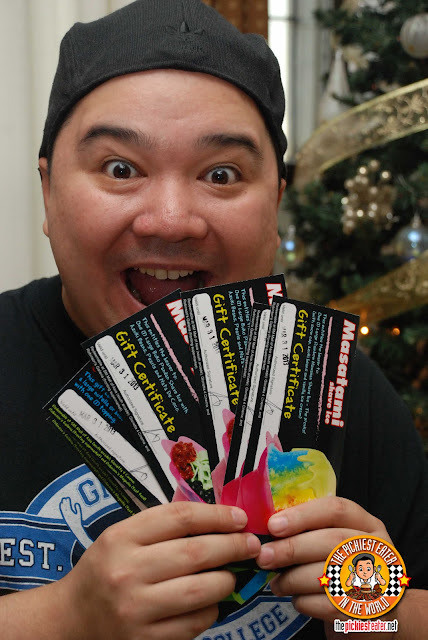 One winner will get five gift certificates from Masatami Shave Ice, which will allow him to avail of some of Masatami's Best sellers, including the Hawaiian Shave Ice, Buko Pandan, and their newest flavor.. NUTELLA!!! Perhaps one of the most popular Filipino restaurants in the country today, has to be Gerry's Grill. This restaurant has a very special place in my heart, because the owner, Gerry Apolinario, is a family friend.. he's one of my cousin's closest friends, and in fact, invited us during the first food tastings of his restaurant. 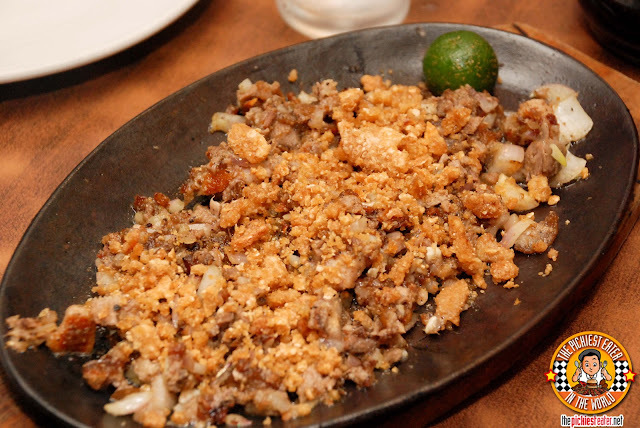 I've always had a thing for their sisig, which goes perfectly with Garlic Fried Rice! With delicious dishes, at extremely reasonable rates, what's not to love? The Cheese Steak Shop sandwiches are easily one of the best Cheese Steaks I've ever had in my entire life.. And I want you to experience it for yourself! 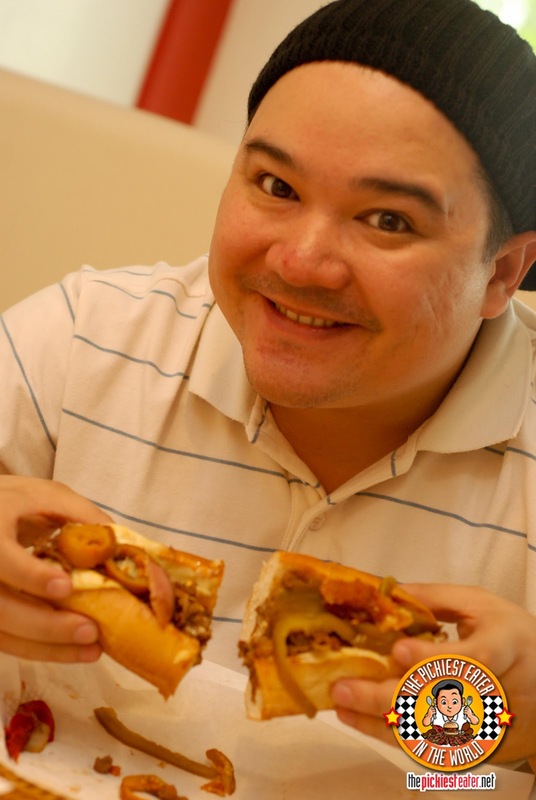 Two winners will win gift certificates from Cheese Steak Shop worth P1500 EACH! A third winner will win this awesome Tumbler from The Cheese Steak Shop, which allows the winner free refillable drink until March of this year! 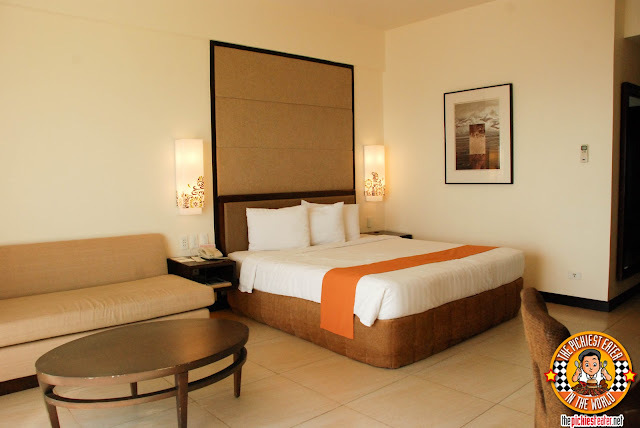 AN OVERNIGHT STAY AT TAAL VISTA HOTEL! One of the highlights of my year was our two stays at Taal Vista Hotel.. Now I'm giving YOU a chance to experience that awesomeness as well! One reader will win an overnight stay at a Premier Room of Taal Vista Hotel, inclusive of Breakfast for two people! 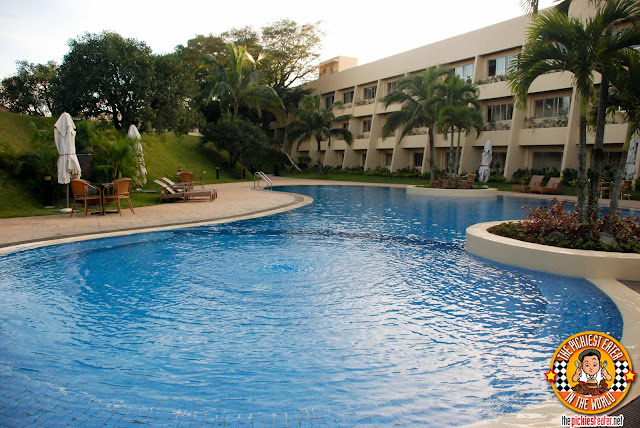 With its wonderful facilities, including a Spa, Swimming Pool, gym and Game room, your stay in Taal Vista Hotel will most definitely be a memorable one! Lots of prizes to be given out! Who knows, maybe the winner could be you! To improve your blog -- put in smell-o-vision and taste-o-vision! I wish for you all the bacon in the world! Gerry's: Sisig & Crispy Pata! Taal Vista Hotel: I wish you more blessings in life! I'm so grateful for this blog. I've eaten in a lot of new restaurants this past year with friends and family because of all your posts, so thanks for sharing!! 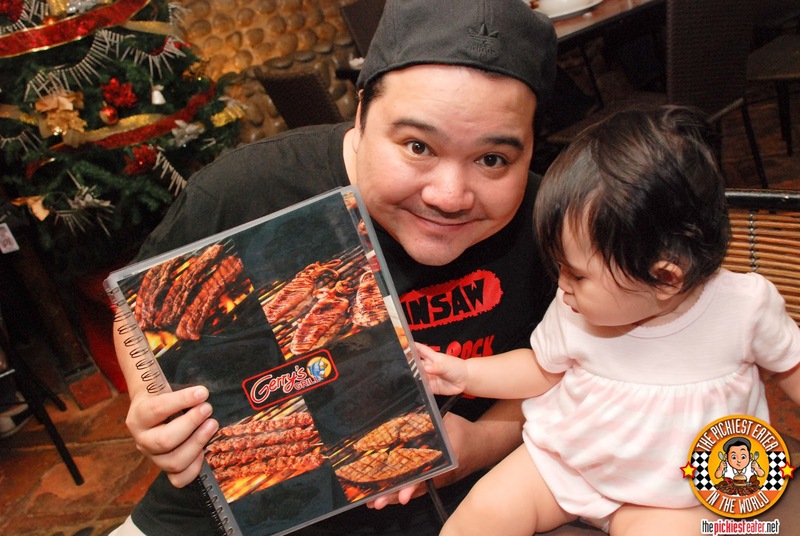 I hope baby rain grows up with the same passion with food as you and your wife do. She's so adorable she makes me angry! Anyways, have a blessed year! What do you think I could do to improve my blog? I love your blog. I always visit it every time I go online. I think you should add a "Favorite" tab so your readers can see what restaurants you love the most. Also, try a different layout on the page or add few colors. For me you should blog about gadgets! not all the time. What dish are you excited to order from Gerry's? Sizzling Balut with Tofu,Crunchy squid heads and Tuna sashimi. "I'd like you to review Yakimix! Definitely a fan of Japanese food especially Sushi and Sahimi. I love visiting your blog but it's very heavy to load especially when my connection gets slow. Of course, number one is a merry life for you and your family. More blog posts (and food) to come! Happy happy happy birthday!!! I'm a new reader and follower and I can say that you really write good articles and I enjoy viewing your pictures here in your blog! Nice one sir! You should check out YUGATECH ! www.yugatech.com cause i love gadgets! Actually you are my favorite food blogger, or blogger for that matter because your posts are somewhat conversational in nature. It's like listening to a friend talking rather than reading something. So when it comes to that aspect, just carry on. :) I think I just would want to see more comparative posts, like this burger from this burger joint versus that burger from that burger joint in terms of taste, price, etc. "I'd like you to review Capricciosa!" I wish you a happiness in life! I'd like you to review Pizzeria A Venetto next! "I wish you an abundance supply of great food"
Sizzling Sisig and Sizzling Balut with Tofu! My Bday Wish: I hope you can find the yummies bacon in this planet. And addtnl BABY too!! Maybe you can try to features some affordable/karinderia like establishment for a change. I genuinely wish you more success for you and your blog. I wish that you inspire more people to have a passion for blogging. Of course, I pray for good health and happiness for you and your family. Suggestion: Please do more reviews of restaurants from the South. Additionally, it takes quite a long time to load the pages. It would be better to compress the images perhaps? Or anything really to make the loading a little faster. I wish you more birthdays to come, more time to enjoy life with your lovely family. I also wish you less stress when it comes to work, meaning less all-nighters, and lots of bids to win. Haha! Suggestion: More hole in the wall places please! I simply wish you good health for your birthday. Cheers! I enjoy your blog as is...always like giveaways! I think you could add color for your background, it's the best to keep it simple but I think a background color sets the ambiance of the page warmer, cuter, and amazing! (Just a suggestion though)..
Have you gone to Shi Lin? I'm excited about Crispy Pata, I've only tried their squid there..
You should check out www.yugatech.com!I'm a gadget-lover you know.. I wish you more years of blogging and inspiring! Sisig and garlic adobo shreds. I know it is demanding but i really do enjoy reading your blog. My wish for you is good health, more blessings, more foodie adventures and a lifetime supply of interesting and fun filled blog posts! happy birthday,,my wish for you is having a good health and a happy family and career..
Can you feature pizzas on your blog please? I love reading your blog.I think you should add a Colorful background that is..
Wishing You Blessings of Health, Happiness & Success in Life! Happy Birthday and more bacon to come!! "I wish for you to have many many many more food adventures so you can share it with the world." I wish you more awesome blogs and food adventures in and out of the country! >"I'd like you to review Yakimix next!" >What dish are are excited to order from Gerry's? >You should check out the guiltlessgetaways at http://guiltlessgetaways.blogspot.com/! I'm your No.1 fan Mr. Richie and I always read your blogs.In fact i sent you a private message before and asked you on how I can get the link on my FB post.Just keep it up and More Bacon to come.. I'd like you to review korean restaurant Bong-a along Meralco Ave corner Julia Vargas St in Oritgas. It's in the second level of whre Brothers Burger and Office warehouse are at. You should check out Melody Co's travel blog at http://guiltlessgetaways.blogspot.com! The Sisig and Crispy Pata is HEAVEN! My wish for you Sir Richie is good health and long life. Hey bud. Happy Birthday :D ! Wishing you all the best. And since bacon is the best for you, through transitive property of mathematics, I wish you all the bacon :D ! I would love to hear more about buffets and international cuisine. Beef Kare Kare, Buko Pandan, Crispy Pata, and Sizzling Sisig! I wish you a lifetime of happiness, good fortune, and good food! Happy birthday! May you be titillated by more flavors and oozing delights! Just wanted to wish you a very HAPPY and a very HEALTHY birthday Richie!A hundred more years of great food, love, and happiness to you! Maybe you could have a section that would summarize all your blog posts by location and/or cuisine. I sometimes have to plan get-togethers which are location dependent, and it's a bit hard sometimes to find a nice place. I'd like you to review PF Changs next! The Crispy Pata and Sisig na Bangus! I think you should post more often nyahaha :) that is all! I wish you more places to visit and more food to eat! And of course, the best of health! Chili cheese stick and my all time favorite oriental tuna sashimi!! Laureen Uy from www.breakmystyle.com is awesome, love her articles! I wish you another year of blessings! Honestly, i have nothing to suggest for your blog, for me its already great! contents, layout and pictures, keep it up! I've always loved Gerry's sisig!!! comment Coloud giveaway: What do you think I could do to improve my blog? ans: more picture of food and new lay-out of your blog to make more interesting. Check out the wonderful experiences of Running Atom at http://runningatom.blogspot.com/. I love reading Teach with Joy - an inspirational blog for family. "Cheesesteak"
Happy birthday! More blog post please... "Taal Vista Hotel"
I'd like you to review YAKIMIX RESTAURANT next! 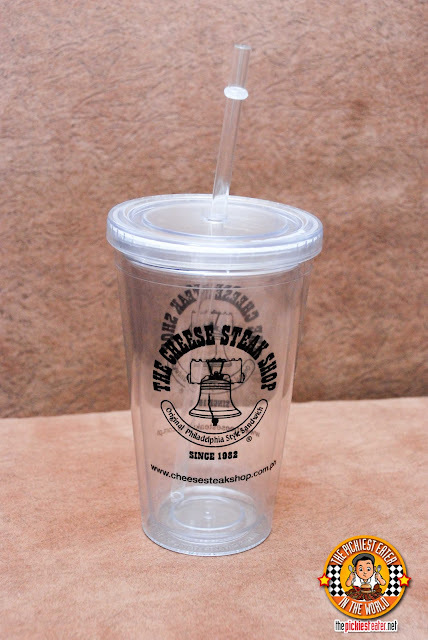 Cheese Steak Shop: I always visit theburninghouse.com! If your house was burning, what would you take with you? What dish are are excited to order from Gerry's? How about posts about your own homecooked recipes? Crispy Pata. My husband's and son's favorite. I usually visit http://www.boy-kuripot.com to check on the latest giveaways and contests. I think that you should use a bigger photo for your blog name or try a new blog layout. I would put some photos of food in the background. 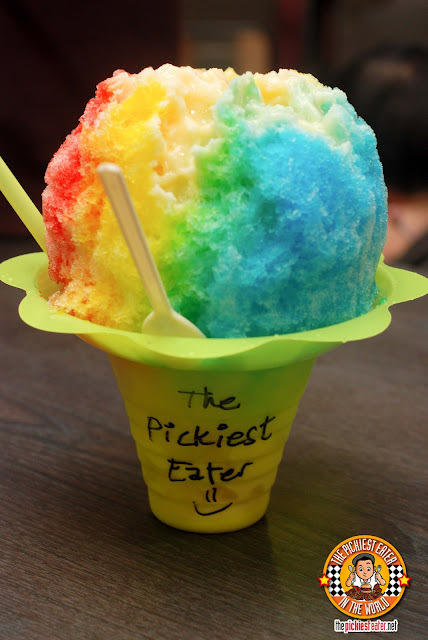 You need more posts about best filipino dishes and pinoy resto. great travel tips, beutiful places and awesome getaways! 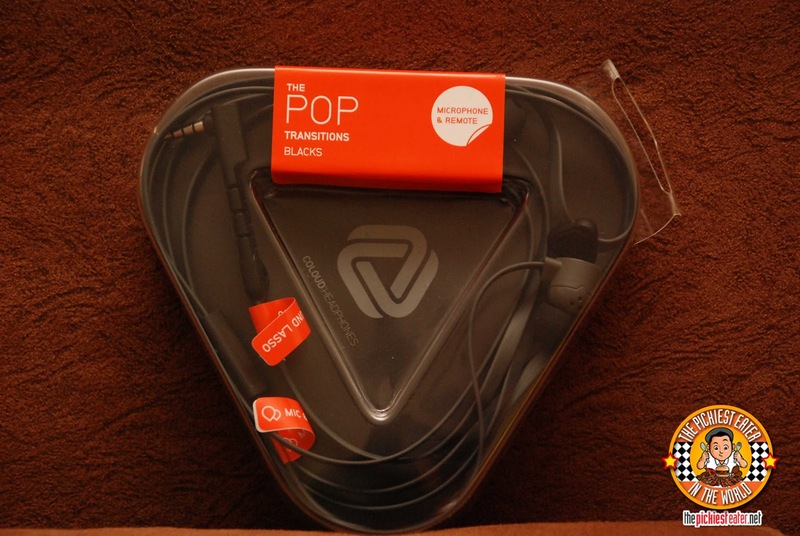 Coloud - I suggest that it would be better if you add some music review on your blog using some gadgets like this! Happy Birthday Pickiesteater! Thanks for the giveaway! More Color would do great. You should check out the Guiltless Getaways at http://guiltlessgetaways.blogspot.com and Girl Kuripot at http://girl-kuripot.blogspot.com. Both pages were owned by Ms. Melody Co. In terms of foods and resto, you have shown us lots of it. Im really craving for each of your post. I'll love all your post and have nothing to ask for xD. Just enjoy on reviewing each resto in the PH and maybe in the other countries. A menu of restaurants - american cuisine, japanese, etc. I wish you more great blog posts, and a good health and blessings to you and your family. What would your Birthday wish for me be? I wish you more escapades to experience and restaurants to discover :) Happy Birthday! Coloud Headphones: more features of restaurants specialties and nice ambiance. Gerry's Grill : Dinakdakan, Sizzling tokwa con carne and green mango salad. Taal Vista Hotel: "Wishing you a very Happy Birthday! more to come, more success and good health always. Our staple order when we dine there - Inihaw na Pusit. The site-navigation could use an update or two. Dropdown boxes on the header is a good idea to easily search for different reviews. You could try out the hidden gem in Ongpin called Sincerity. Their specialty chicken is something you need to try as well as other mainstay Chinese dishes. Gerry's Crispy Pata and Grilled Squid are always on my bill everytime I visit the place. Directions On Web (http://directionsonweb.blogspot.com) is a nice blog to have. I usually look it up when I make plans to unfamiliar places and plan my route accordingly. My Birthday wish for you is to have a Herculean metabolism so that you can maintain perfect health while trying out all the food that you want. more success, more bithday, more years, more fun, more contest, more unlimited. I wish for Taal Vista Hotel stay for me! I'm always looking for suggestions on places to eat.. What restaurant that I haven't visited yet, would you most like me to review next? I love reading other blogs! Name me one of your favorite bloggers their websites, (and why you love about them if you want)! Pick more foods! 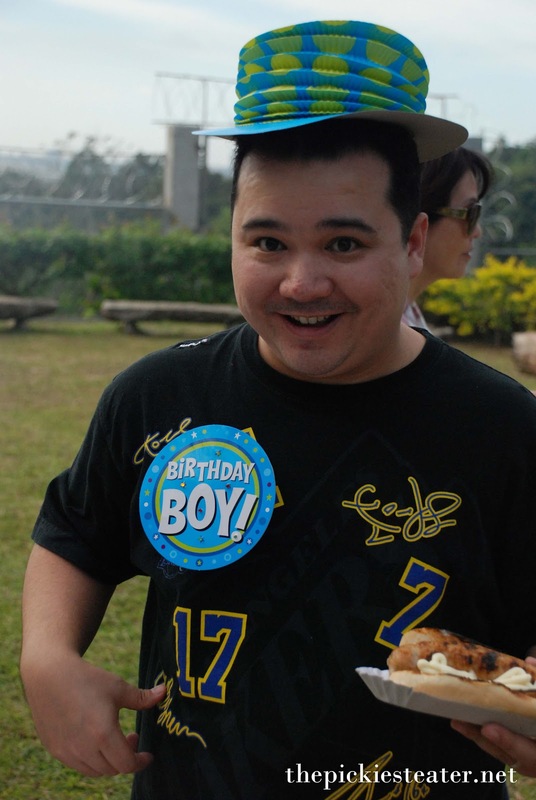 Happy Burpday Sir! TAAL VISTA HOTEL! - Vacation! buffalo's wings n things ! i love their buffalo wings ! I need more post about unique restaurant that has served spicy foods.. This is for Coloud giveaway! My birthday wish for you more blessings to come have a good health and more giveaways and blogs .. This comment is for Taal Vista Hotel. i wish you to have more sponsors to your give away for us to win MORE ! The wisdom, the palate & the free will to discern for your 18th birthday! I'd like you to review Conti's Restaurant next. Walang kamatayang Crispy Pata at Calamares! Masatami : How about reviewing Oceana is it worth eating there as against Viking? Coloud: You can put up a video blog or a map on where the restaurant is located. 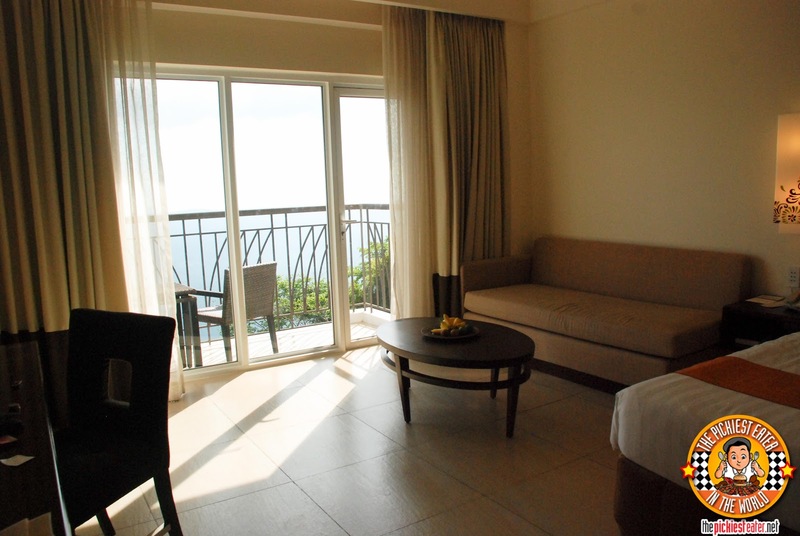 Taal Vista Hotel: I wish you good health and more food adventures! And more bacon of course! I'd like you to review Naci's food and dessert bar..